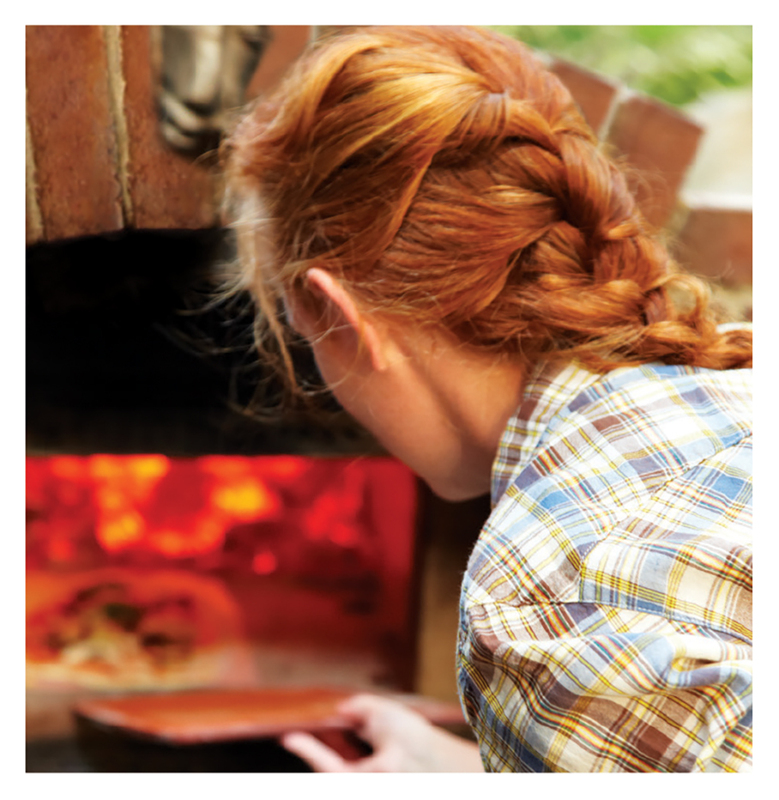 Nothing lures neighbors like the smell of pizza cooking in a wood-fired oven. 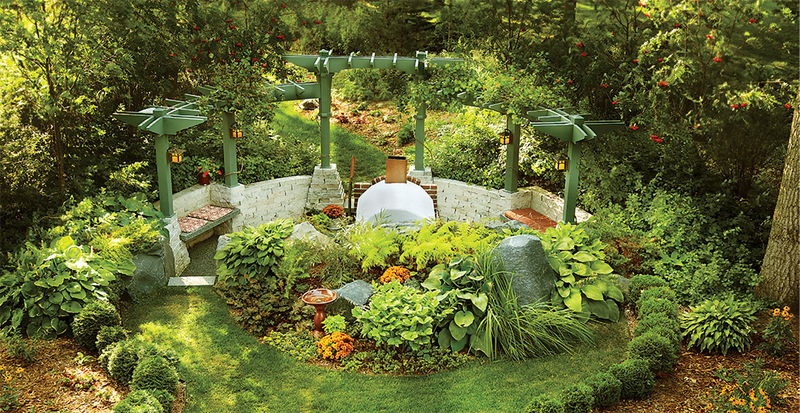 That’s what Rocky and Gigi DiGiacomo found out shortly after building a cozy pizza patio in their Minnetonka backyard. They got the idea from a friend who built an outdoor oven for making bread and pizza after reading The Bread Builders: Hearth Loaves and Masonry Ovens. Inspired, Rocky read the book too. “It was all about how outdoor bread ovens were once used communally in France,” Rocky explains. “It was the village baker’s job to stack wood next to the oven and cook what people brought to him. Every day, moms with babes would bring their dough and hang out, talking and watching the children play while they waited for their bread to be finished.” Good friends, good food, and a tradition that was enjoyed by an entire village—Rocky and Gigi were hooked. It was time to build a pizza oven at their house and, because they own their own design-build company, DiGiacomo Homes, Rocky had the skills to do it. “As a builder, I normally use my cell phone much more than my tools, but I thought it would be fun to work with masonry and bricks, and I have to give the book credit for having very specific instructions, including dimensions, that were really helpful,” Rocky recalls. Making things easier was the fact that they already had the perfect place for a pizza oven. 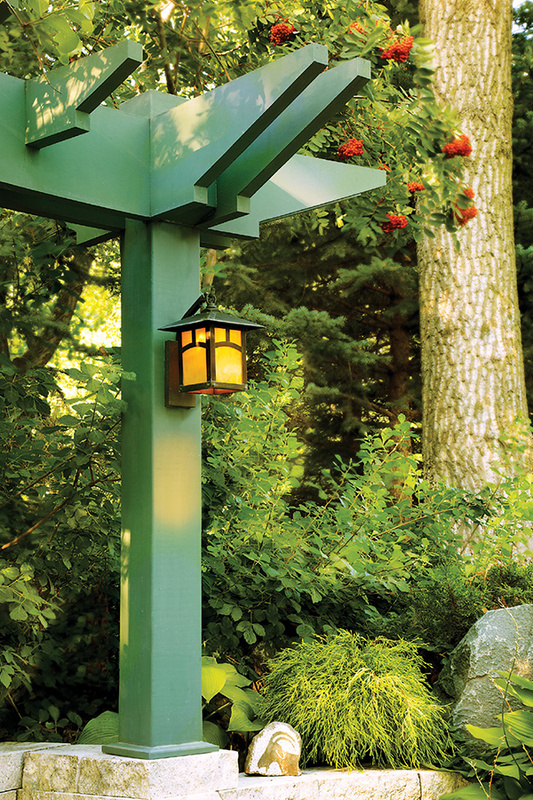 Just a few years earlier, Rocky had built an outdoor patio partially encircled by green-painted trellises that matched those he’d made for the house. Designed to be a kind of intimate grotto, the patio floor is 24 inches below grade and made of 3/8-inch chipped granite, which offers a more natural look than brick or stone and also drains well. Boulders intentionally situated opposite the trellises, near the oven, enhance the sense of enclosure and provide planting space for basil, oregano, and other pizza-friendly herbs. 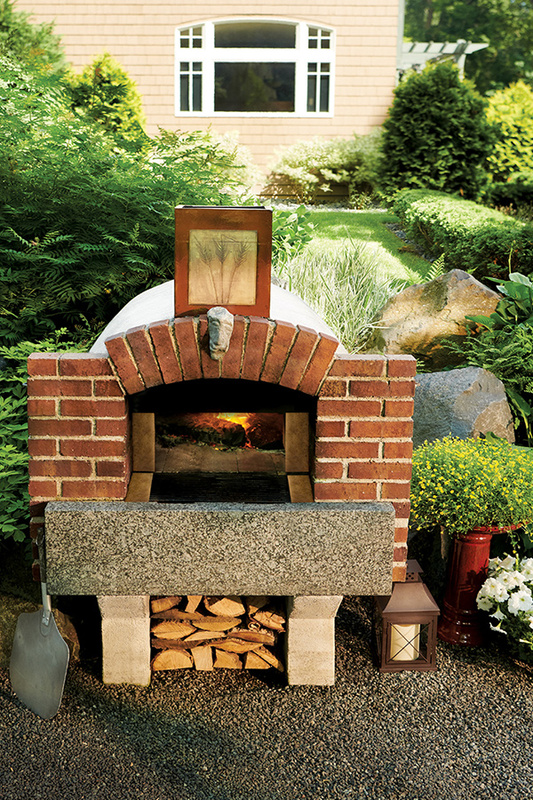 You don’t have to be a builder, or hire one, to add a pizza oven to your backyard. In the last few years, kits in a wide array of styles, shapes, and sizes have become available to pizza lovers who want build one themselves. Rocky recommends the Italian kits by Forno Bravo. For more information, see fornobravo.com.